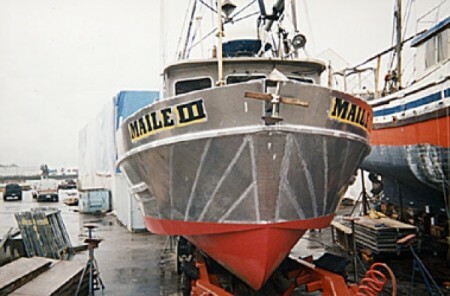 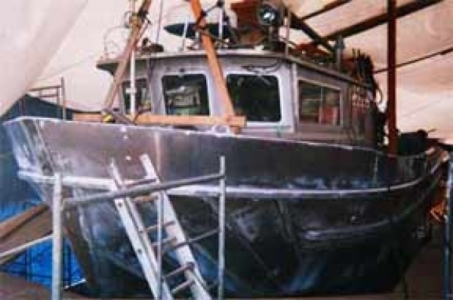 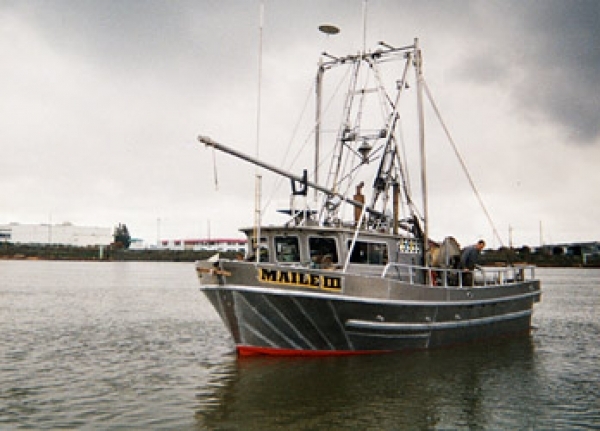 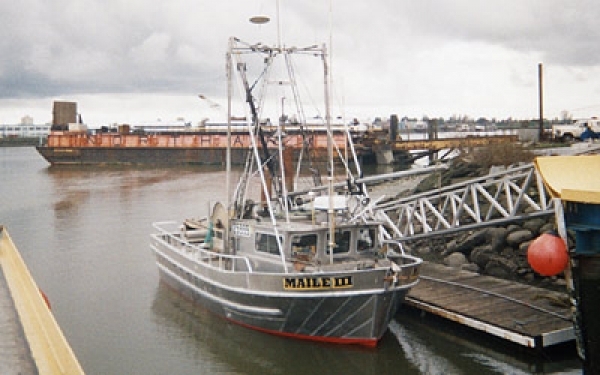 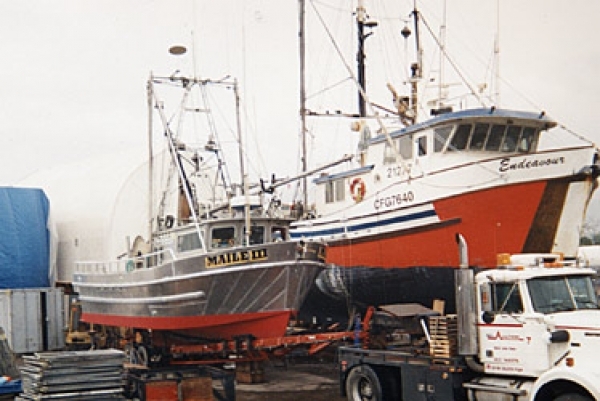 The Maille III was one of Commodore’s Boats more interesting aluminum boat projects and as a result was featured in “Western Fish and Seafood” magazine as written by David Rahn. 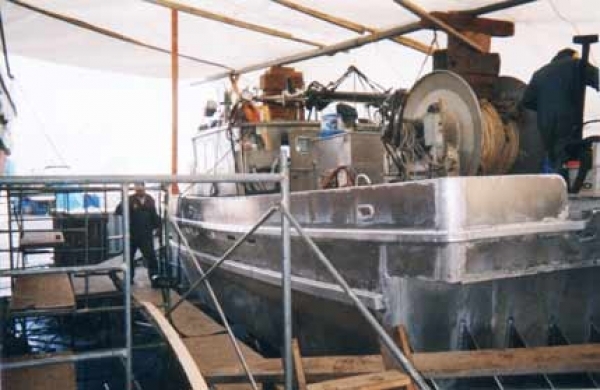 The project showcases our quality aluminum work by adding two sponsons to the outside of the hull. The objective was to increase stability and working area and at the same time give the boat a new flared bow and more graceful sheerline. 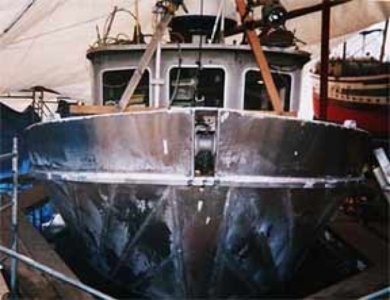 The sponsons are built up from a series of small bulkheads welded at regular intervals along the shear and extending down to the chine. Up forward the bottoms of the bulkheads start off level and then gradually take on a few degrees of downward twist as they reach the stern. 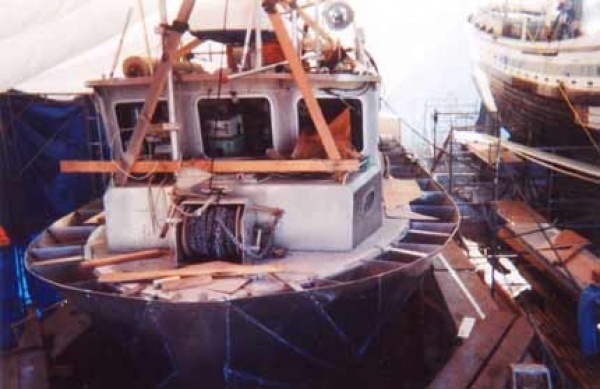 This serves to increase the submerged volume, and therefore the buoyancy, at the after end, just where it’s needed most. 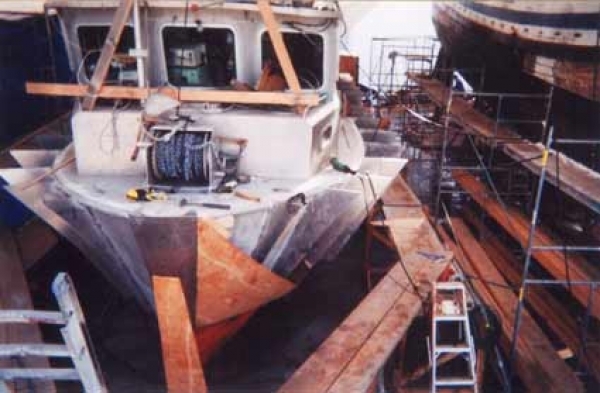 When everything is welded in place, the boat gained 22” on each side. The customer also opted for small fuel tanks to be added on each side, live tanks for holding shrimp or salmon and 20′ of deck off the stern for additional working space. The biggest challenge for a project of this type is fairing the new work into the old and getting the whole thing to look “right,” as though it was designed and built that way from the start. 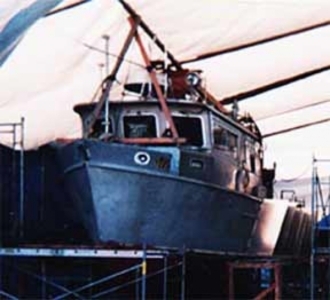 The final appearance clearly mattered and Commodore’s Boats was determined to give the boat back to the customer better than he started with. a win-win project for both Commodore’s Boats and the customer.